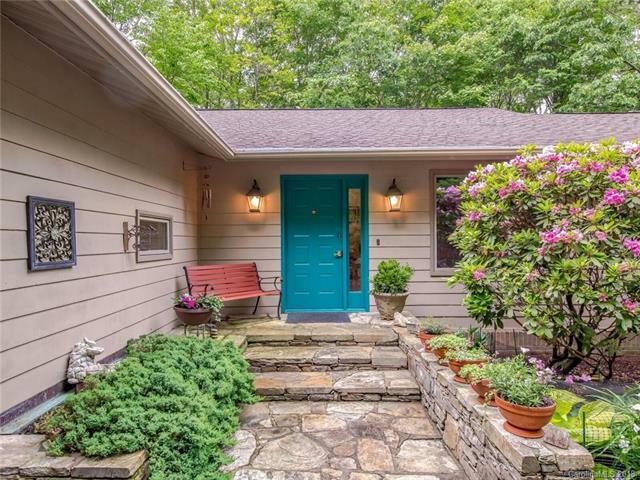 Nestled in the trees, this 3BR/3BA Traditional Ranch with quality finishes throughout, has an extra large sunny Kitchen w/skylights and a 27 ft. Pantry. Open floor plan is great for entertaining. The oversize, 3-season sunroom beckons year round -- an oasis for relaxing or hosting friends. Living Rm has tall ceilings, casement windows, beautiful wood flrs & gas FP. On the Main floor is a spacious Master BR/BA, a 2nd bedroom or office, and a deck. Lower level is perfect for guests or a getaway. 2 ample Bedrooms, a full Bath, Family room, Bonus room & deck. Quality construction. 3,900 sq ft & storage galore! The 2 park-like acres & winding driveway welcome you home. Like living in a tree house. 3 bedroom septic. Gracious living only 10 minutes to Brevard center.